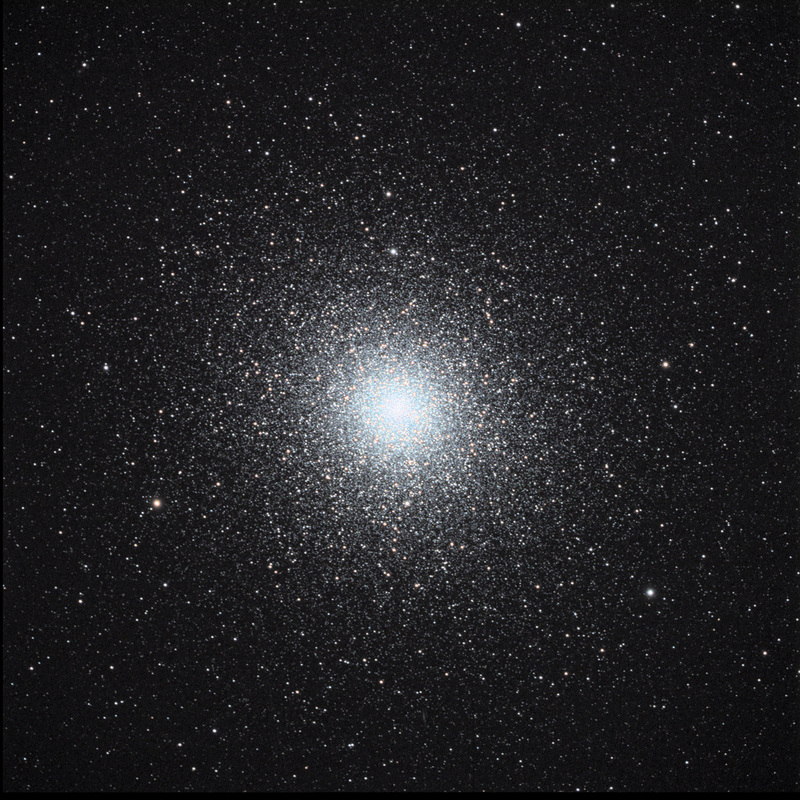 47 Tucanae is the second brightest and largest globular cluster in the night skies, overshadowed only by the great Omega Centauri. Shining at a visual magnitude of 4.9, this spectacular cluster is easily visible to the naked eye as a fuzzy patch lying in the direction of the Small Magellenic Cloud, albeit at the much closer distance to Earth of only 13000 light years. Spanning nearly 120 light years across, 47 Tucanae is home to a population of several million stars.